Since time travel is nothing but a fictional dream, and it’s physically impossible for a human being to be in two places at once, we’re usually left with no other choice than to have a substitute take our place during particular circumstances. 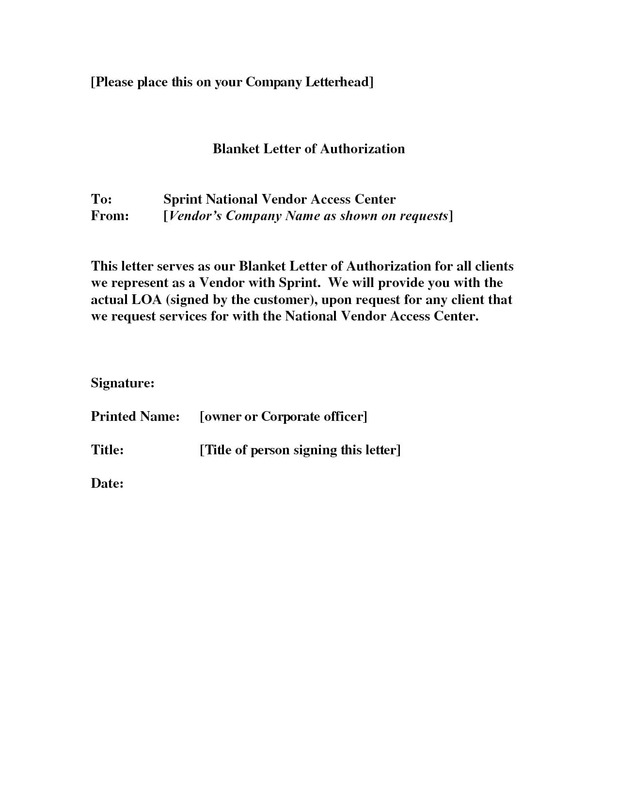 You may also see agent authorization letter examples. Rank, authority, actions allowed, spending limit, and delegation rules and limitations are all typical items documented in a letter of authorization. This is a written confirmation that may be used during the absence of a subject due to a specified reason. But because an authorization letter acts as a legal document as well, it must be written clearly and correctly for recipients to accept. In this article, we will tackle one of the most common types of authorization letters there is: the letter of authorization to represent. What Is an Letter of Authorization to Represent? Authorization letters are formal documents that empower another individual to act on your behalf. The actions associated with this power can be related to making a decision, signing a document, participating in an event, giving a commitment, accessing certain files and folders, and other similar activities. These letters can come in handy whenever you need to delegate a responsibility or task to someone if you are unable to do so yourself. A letter of authorization to represent is similar to an authorization letter to act on behalf. 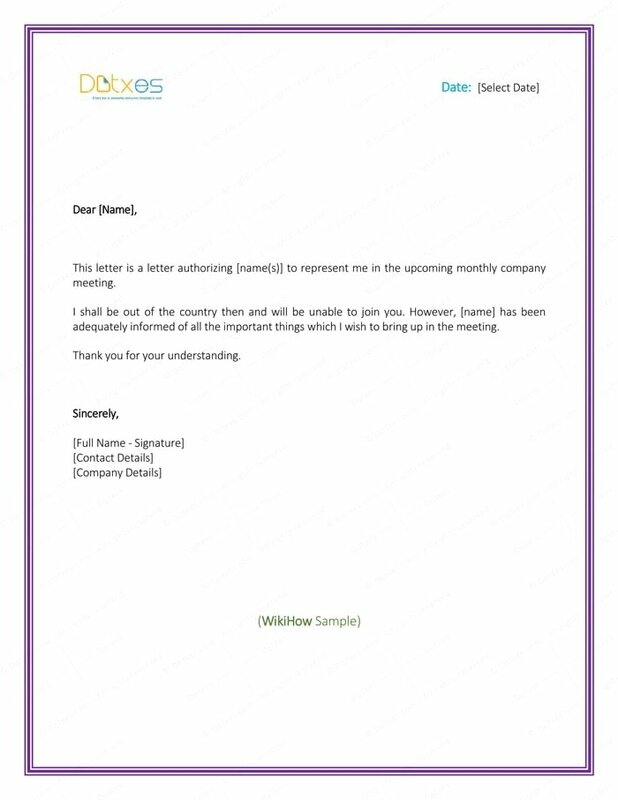 Here, the recipient of the letter is informed that the writer cannot make it to the event or meeting due to a person, medical, or work-related reason. Instead, the writer has sent a proxy to represent him or her during the encounter. This means that the proxy is permitted to perform the actions indicated in the letter, and that the writer would still be held accountable for whatever happens. Let’s take this scenario as an example. After feeling a bit ill for the past few days, your test results reveal a contagious disease which prevents you from coming in contact with any individual from the outside. The doctor advises you to stay home for the next couple of days but because you’re the head manager of your office, you need to make sure that operations can run smoothly even in your absence. To do so, you ask the company’s supervisor to take your place while you’re gone. 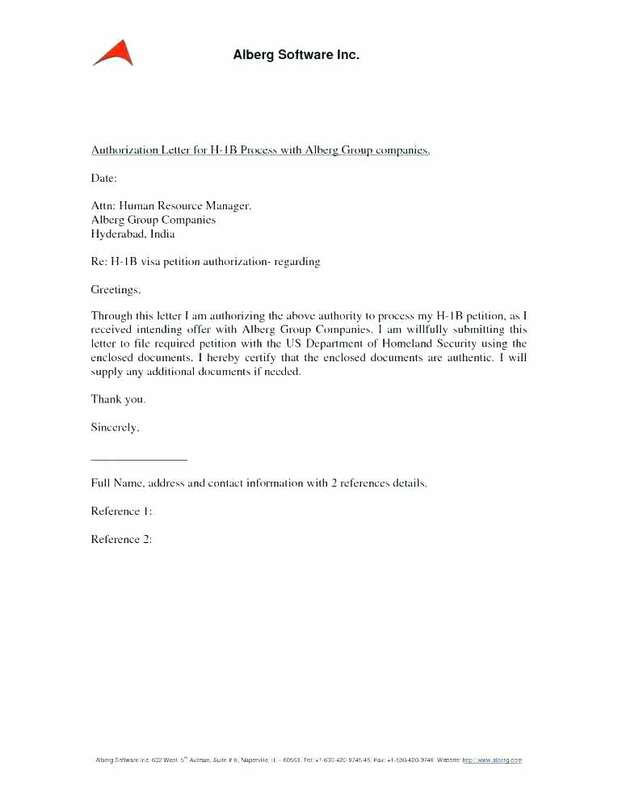 You may also see personal authorization letter examples. However, there are certain things that supervisors are not permitted to do on their own. For this reason, you need to entrust temporary managerial power to the supervisor to grant such actions. 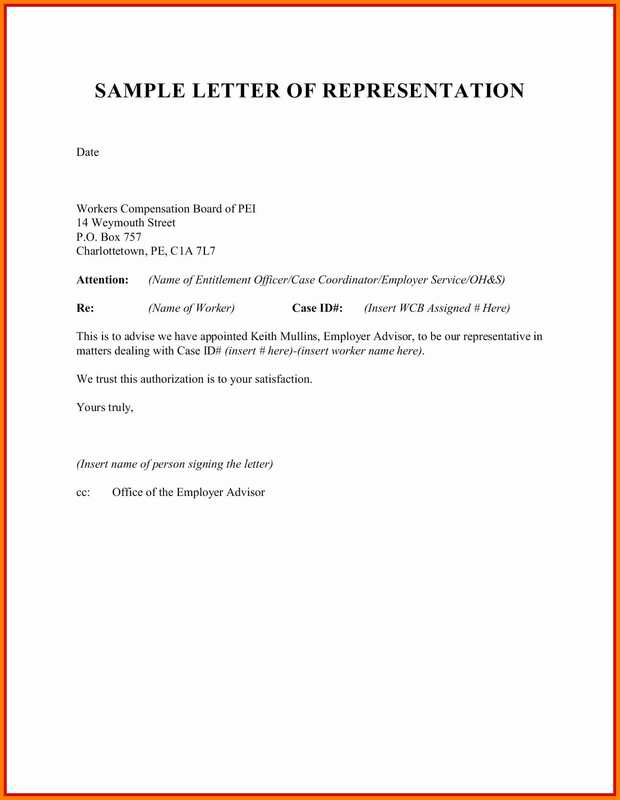 The professional letter can be used to ask permission to carry out certain responsibilities, or to inform another individual that you will be replaced by somebody else for the time being. 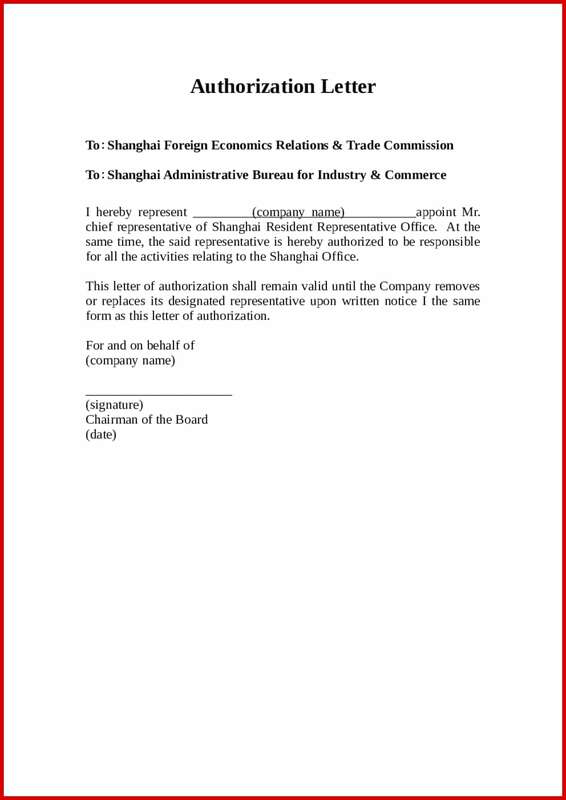 The content of the letter may vary depending on the responsibilities entrusted to the proxy. Once this has been signed and accepted by the intended parties, then the indicated actions may be performed until your return. Other possible scenarios where a letter of authorization to represent may be used is when you need someone to pick up your child from school, claim a credit card, receive a package, attend a meeting, or get important documents from your lawyer. In these situations, you need to make sure that the letter states the exact responsibilities granted to another. 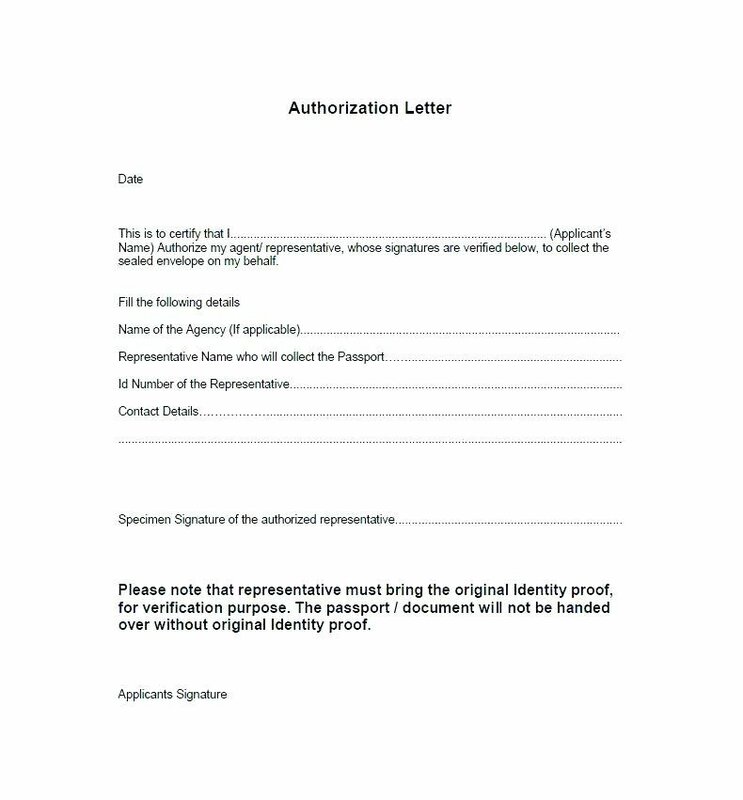 You may also like travel authorization letter examples. 1. In business, people are always busy. Not everyone will be available all the time, as they may have other business-related duties to prioritize first. Successful business men, CEOs, and managers travel frequently for meetings with investors, clients, and other stakeholders. 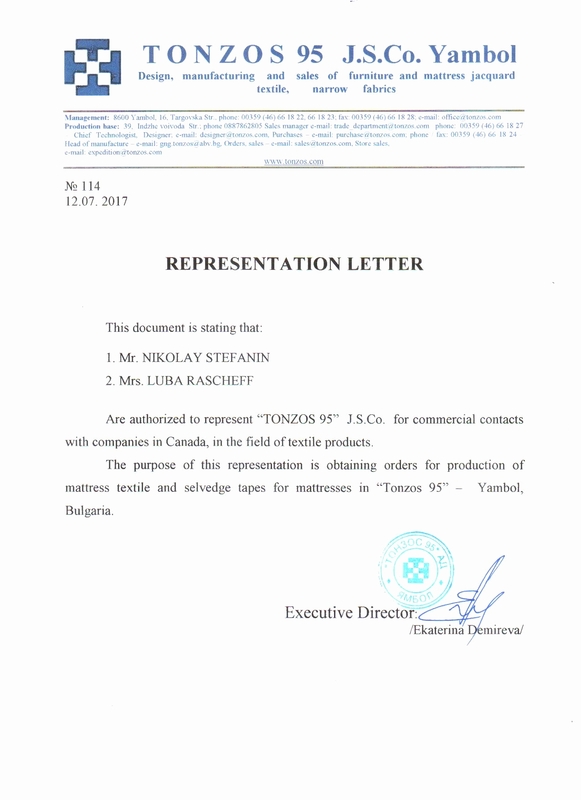 In their absence, an authorization letter is required for carrying out different business activities for the company to continue its operations. 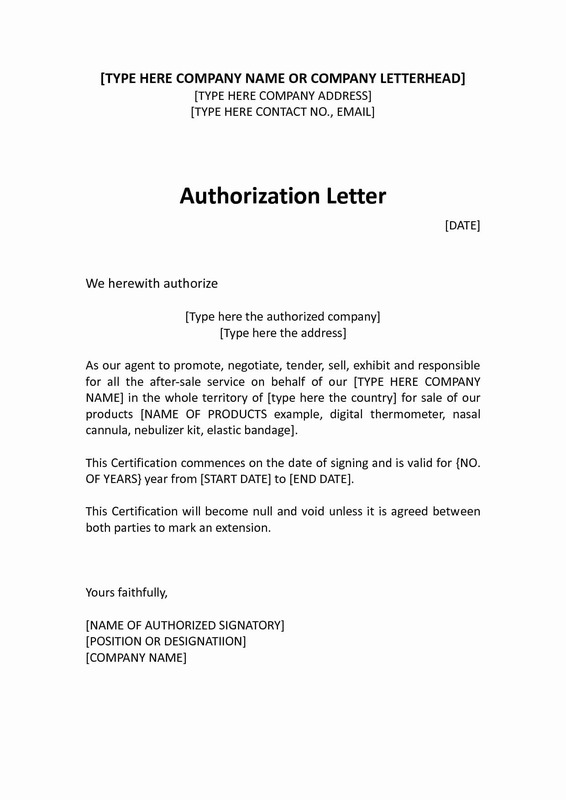 You may also see signature authorization letter examples. 2. Some academic institutions and learning centers impose strict rules when it comes to school pickups and off-campus field trips. In most cases, a child care authorization letter is used to permit nannies and babysitters to pick up the child from school, or to allow teachers or other faculty members to make minor decisions for the child during school field trips. 3. An authorization letter can play a significant role when claiming documents from the bank or government agency. However, take note that the agency does have the authority to deny your request especially when certain papers need to be signed in person. You may also like financial authorization letter examples. 4. Hospitals and clinics can be very stern when it comes to releasing medical or health records. Because these documents carry sensitive information about a person, you can’t expect them to hand these records over to you so easily. In such situation, you may need to have a signed medical authorization letter with you just in case. It is possible for an authorization letter to carry more than one function, especially when it’s vital to the role or responsibility being granted to another individual. When this happens, make sure to state these actions or duties accurately to prevent any misunderstandings. You may also see verification letter examples. The last thing you would want is to let a colleague access some of the companies most private files without your knowledge. But in case a proxy does abuse the power granted to them or does more than what was specified in the letter, you can file a complaint to a governing body or take legal action when necessary. You may also like official meeting letter examples. Before you can carry out activities that you are not authorized to do in the first place, you must present an authorization as proof that you were granted the permission to do so by the right party. There are three parties involved in an authorization letter: (1) you, as the author, (2) an organization or agency, as the recipient, (3) and the proxy, the individual responsible for acting on your behalf. Your proxy can be anyone you know or are associated with including your parent, guardian, spouse, child (of legal age), assistant, or even a middle man or contractor. You may also see job application letter examples. 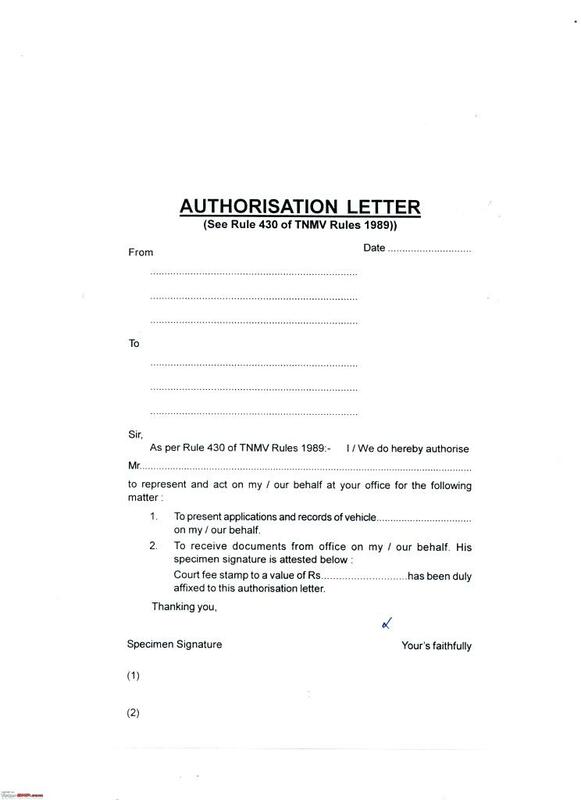 The general purpose of an authorization letter is to prove that a person does have the right to perform certain actions and that the original subject is fully aware of this permission. 1. Use the appropriate tone. Since an authorization letter is often used for a legal arrangement, you need to keep it as professional as possible. An official letter follows a formal or business format containing simple language and easy-to-comprehend terms. This will prevent confusion and misinterpretation caused by complex wording and an illogical arrangement of sentences and/or paragraphs. 2. Keep it brief and to the point. Ensure that the simple letter is kept short and concise. Avoid unnecessary statements that will only confuse readers. You need to make sure that your message is well-comprehended and that ambiguity would not be a problem. Aim for a one-page letter that isn’t as lengthy as a college essay. Focus on being straightforward with your point to make your reason for writing clear at first glance. Always provide the complete names of the parties involved in the case. Avoid using nicknames or endearments regardless of your relationship with the proxy. You can also provide personal information such as an individual’s employee code, social security number, or details that would help in identifying the person being authorized. The organization or agency might also request for a valid ID for further verification. You may also like promotion recommendation letter examples. Some duties may be a bit too broad for your own liking. So if you want to be a bit more accurate about the responsibilities given to your proxy, you do have the option to provide detailed descriptions of each task along with special instructions that the proxy must follow. 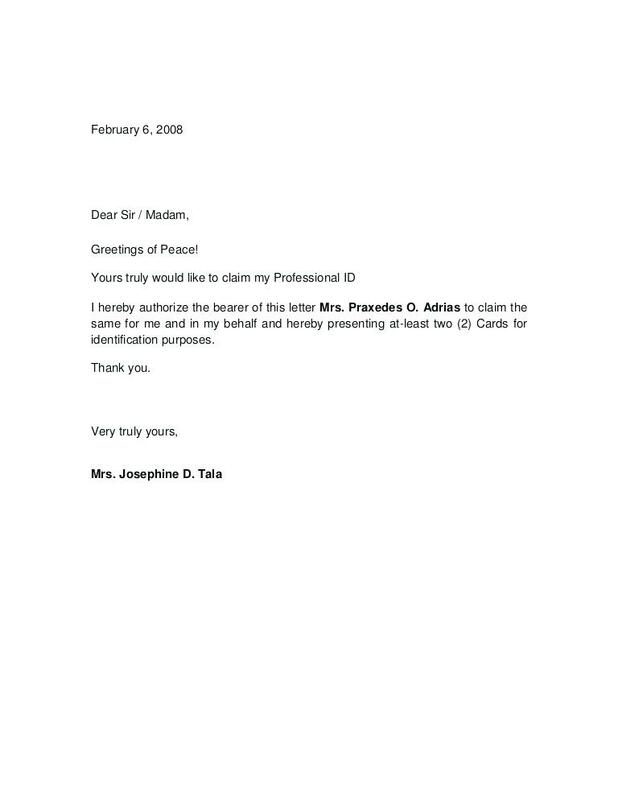 You may also check out employee verification letter examples. It’s a good idea to jot this down in a bullet list to keep the letter organized and understandable. This will help establish the scope and limitations of the responsibilities being granted. Aside from your proxy’s contact details, you might want to let your recipients know how they could reach you in case they have any questions or concerns that need to be addressed. Some organizations may need to contact you to confirm whether the general letter is legitimate as well. You can include your telephone number, mobile number, fax number, and email address as reference. Make sure these details are updated and active to avoid any problems. 6. State the duration of authority. Unless you plan to grant the proxy the ability to act on your behalf for the rest of eternity, do not forget to include the duration for when the authorization is beginning and when it will be terminated. Most organizations require a start and an end date for accuracy (or an exact date for a one-day grant), but you can provide an estimation if you aren’t sure yet. You can specify the number of days or weeks of absence, along with the starting date, especially for emergency cases. You might be interested in income verification letter examples. A letter of authorization to represent is an important document that will allow another person to act on your behalf when claiming documents, receiving packages, making decisions, accessing sensitive information, attending events, or other related activities. You may also see proof of income letter examples. Depending on the tasks or responsibilities you and your proxy or third-party entity have agreed on, the proxy should only function according to what has been stated in the authorization letter and nothing more. Be sure you’ve considered the risks and repercussions that come with granting another individual the authority to represent you. Once this has been settled, you can proceed to writing, signing, and submitting the letter for its intended function.